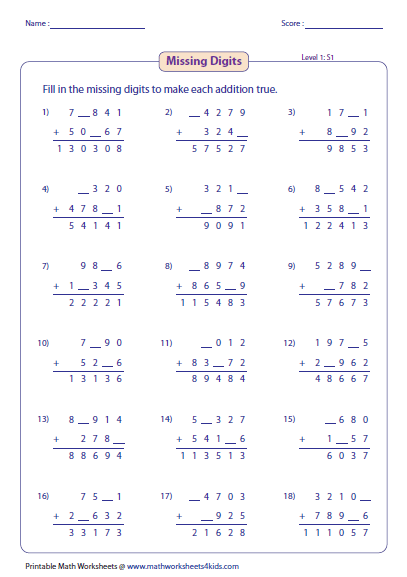 There are six worksheets in this section. The first three worksheets have only standard problems and the next three worksheets have standard problems with word problems. One of the addend is a 4-digit number and the other addend is a 3-digit number in all the problems. 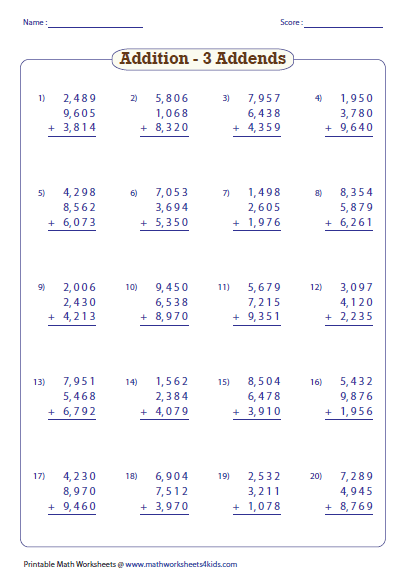 These 5-digit addition worksheets are recommended for 4th grade through 6th grade. Find the sum of 6-digit numbers. Real-life word problems are included. 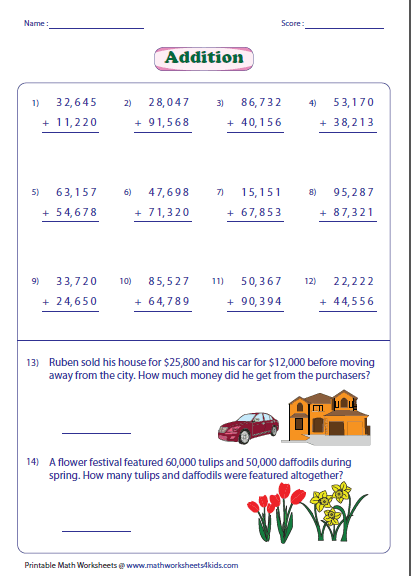 7-digit addition worksheets get tougher. 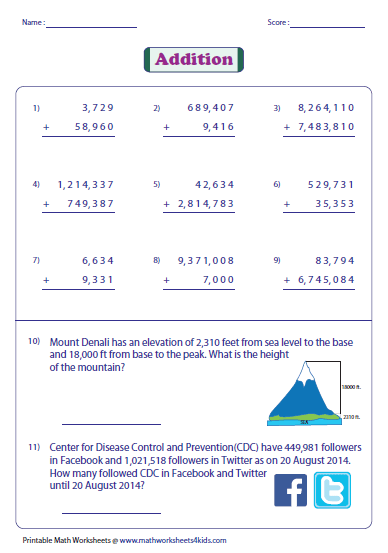 Word problem section contains nine standard problems and two story problems in each worksheet. 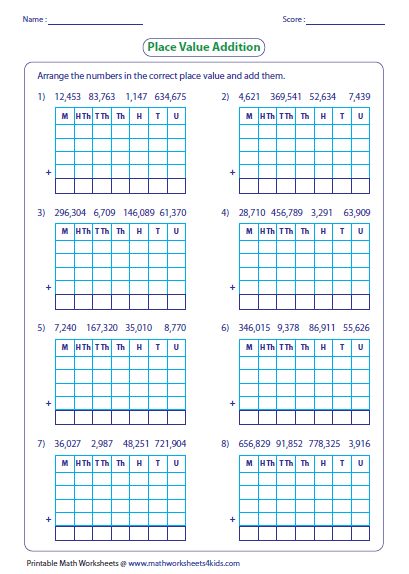 Addition exercises on large numbers ranging from 4-digit to 7-digit are available in these worksheets. The addends are mixed. These worksheets are based on adding 3 addends. 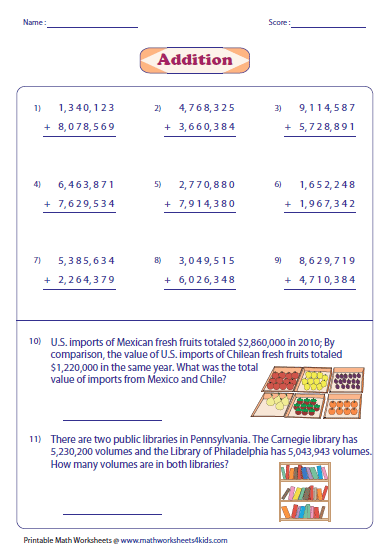 There are four sections based on number of digits. This section includes advanced addition worksheets that contain more than 3 addends. The addends are a combination of different digits. 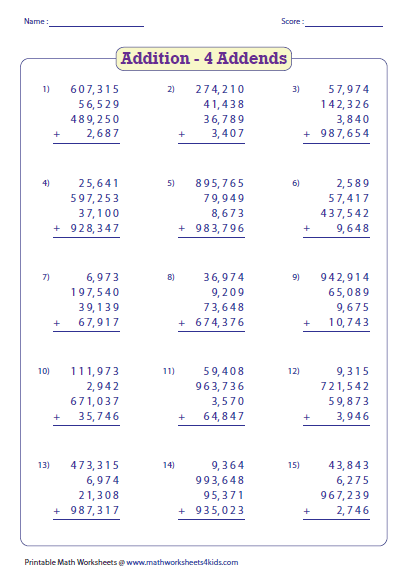 Exercises on place value addition where the students have to arrange the given numbers in the correct place value from units to millions and add them. 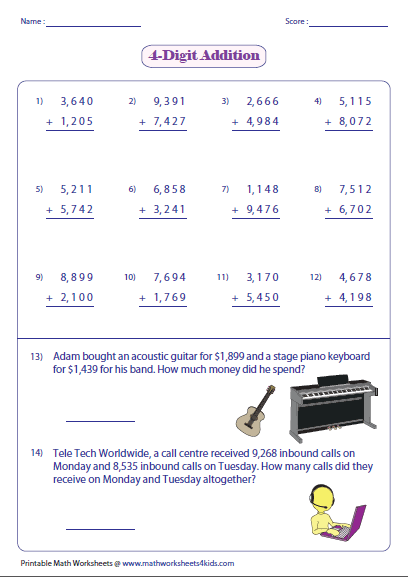 Identify the correct digits and fill them in the missing place to get the required sum. Two digits are missing in level 1 and three digits are missing in level 2.